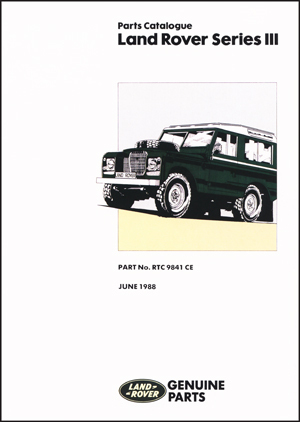 An invaluable resource for any owner, the parts book provides part number and assembly information for the whole vehicle. This one I found somewhere online (I forget where), and I have re-uploaded it here so all the info is in one place. Credit goes to whoever it was who uploaded it, thank you! I have labelled it up as best I can, but the best way to find what you want is to look it up in the index within the first section, and then find the correct page number in the relevant section. Note, some ‘pages’ (LR called them ‘frames’) extend across two actual pages, and on occasion span between PDF files too. You can see this in the numbering below.